Beautifully crafted in waxy leather, our Farah knee-high boots are perfect for giving any outfit an edgy look. 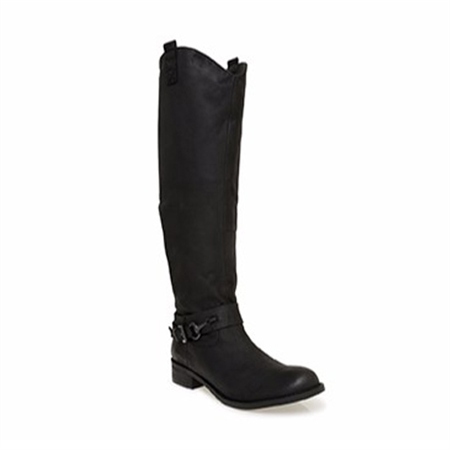 These versatile boots feature a removable ankle strap, allowing you to customise your boots to your outfit. An elasticated stretch panel at the back hugs the calf for a snug fit. Wear with jeans tucked in or with your favourite skirt or dress for a perfect boho chic look.